I suppose Oden would actually be classified as a kind of food rather than a food itself. Eggs, fish cakes, gluten tubes, tofu, konnyaku and daikon radish are stewed in dashi broth. The result is greyish versions of those foods. The weird part about them is that these are served in convenience stores. 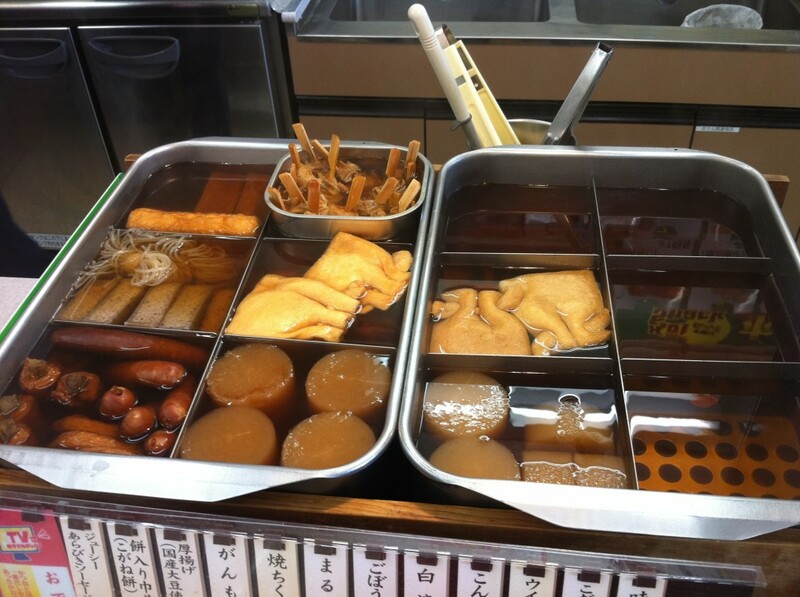 At 7-11, Lawson or Family Mart, you can find a big pot of Oden next to the fried chicken stand. I have never been brave enough to request an item from there, but I did try an Oden fish cake at a restaurant once. Verdict? Meh.